This ceramic piece is decorated with three overlapping diamond shapes and is called “pine bark diamond” or simply, “pine bark”. This particular work has the image of a person on the outside surface, and on the flat bottom a fisherman, a woodcutter, and some bamboo have been artfully arranged. 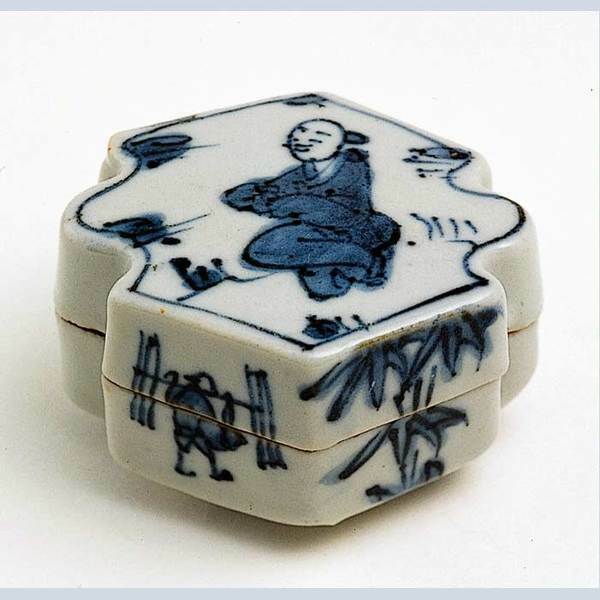 Distinctive points include fine pigment, free brush stroke, and expression of informal design. 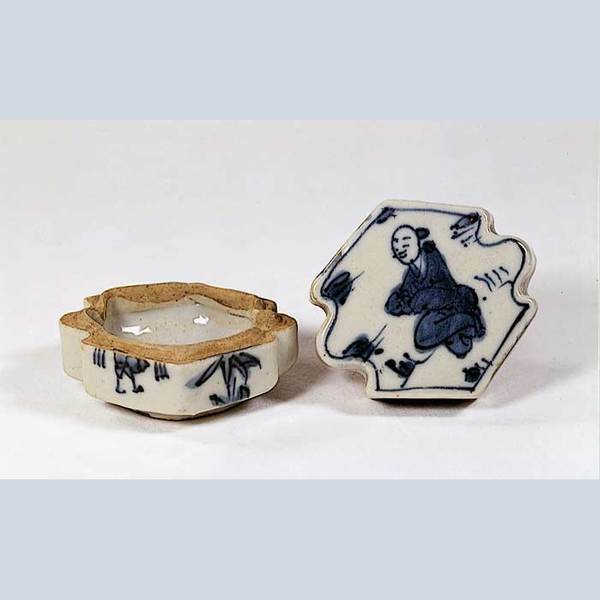 The color of the cobalt underglaze used for this work is of high quality, thus it is regarded as one of the most excellent works in this category. A Japanese tea master custom ordered this incense case from China.